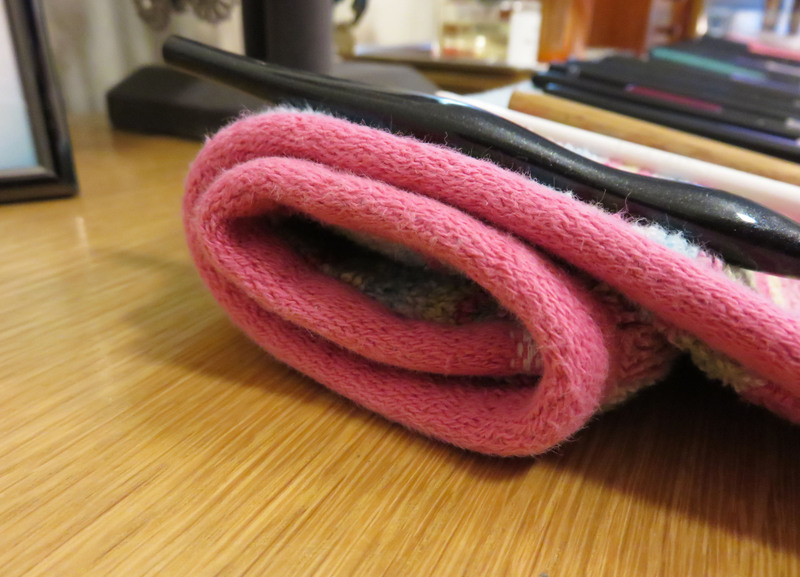 To start, fold over a 1-2 inch section of one of the longer sides of the towel and start to roll it up. Continue rolling until the towel is about half it’s original size, or until you’re left with just enough width for brushes to lay. Then I like to place the towel on a flat surface with the rolled side facing down. 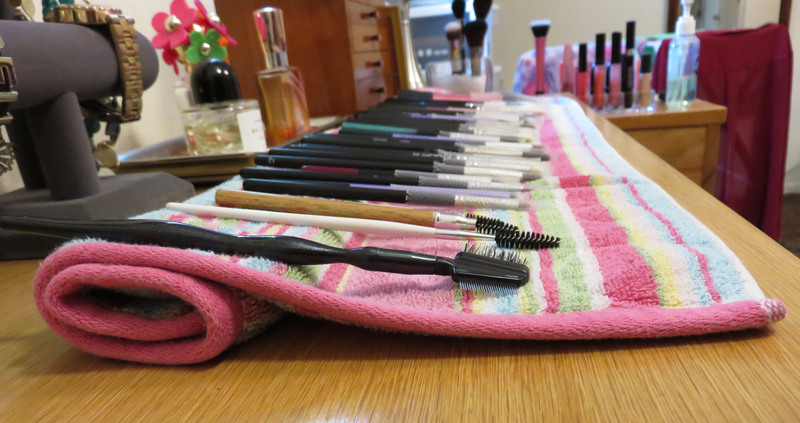 Next you can take freshly washed brushes (with or without Brush Guards) and lay them with the handles on top of the rolled part of the towel. Your brushes will now be laying at a slight angle with the bristles pointing downward so water is encouraged to flow away from the ferrule. Voila! Have any tips for brush care? Share in the comments! This entry was posted in Brushes, Makeup, Tips & DIY and tagged Brush Guard, Brushes, Care, Cheap, Dry, Drying, Easy, Inexpensive, Makeup, Quick, Simple, Tip, Tools by bellarosemu. Bookmark the permalink. Hey I came across your blog and just adore it!!! Maybe you could check out mine and tell me what you think? 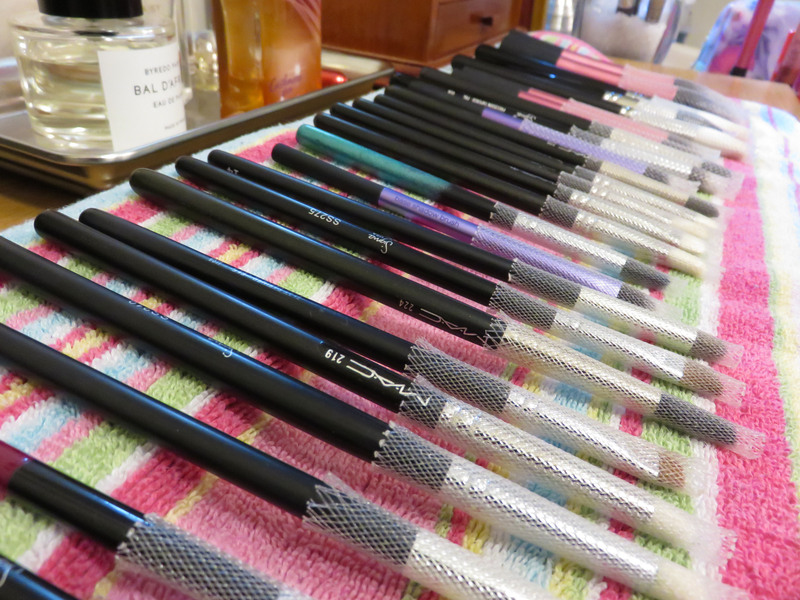 Pingback: How to clean your makeup brushes? !